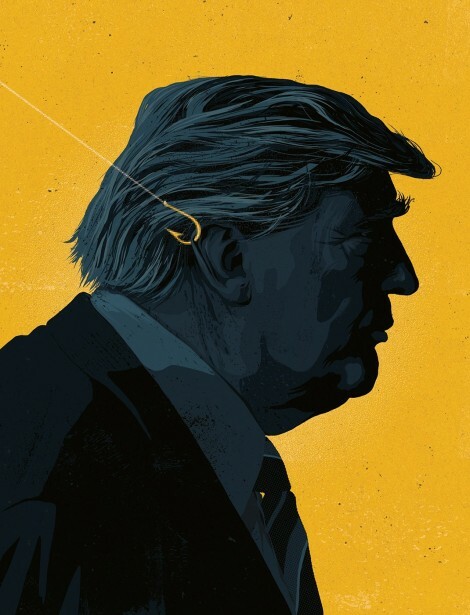 By employing social media and geo-targeting tactics, lobbyists try their very best to catch the attention of president Trump and guide his rhetoric towards their cause. 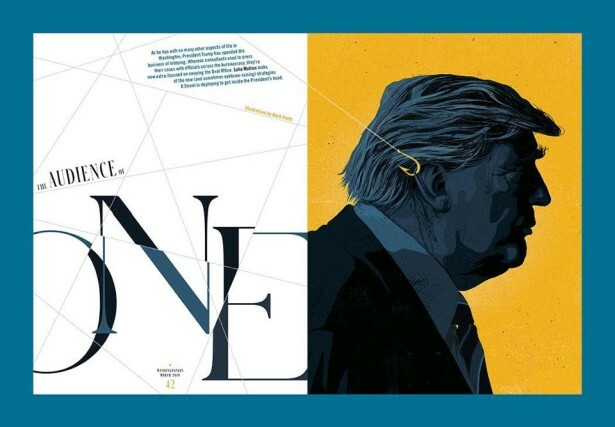 The recent full-page illustration by Mark Smith for The Washingtonian is an excellent example of how combining illustrative skill and a highly recognizable profile with a simple idea can create a strong and impactful message. The image is also further complimented by the article’s fantastic layout (art directed by Jason Lancaster), which Mark says is “maybe one of the best uses of my work that I've seen”. We couldn’t agree more.